Pink 10uL Diamond PRO Fixed Pipettor | U.S. Plastic Corp. 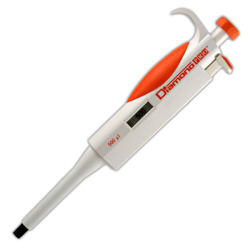 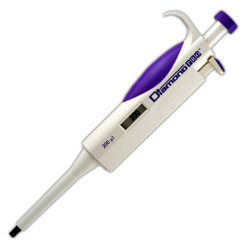 The Diamond PRO Pipettors are designed with super soft, thermo plastic, elastomer grips that minimize fatigue of the hands and fingers. Their unique padding not only reduces thumb stress, it also minimizes the transfer of body heat to the pipette, ensuring consistent accuracy. 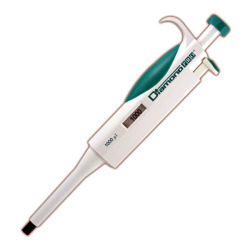 In addition, the two-step plunger operation allows both forward and reverse pipetting techniques.